For Kashmir to be free, first the separatists and the Pak backed extremists have to leave the troubled land. 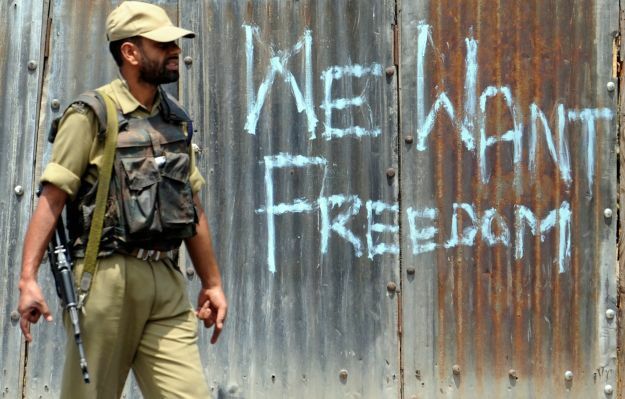 'Freedom for Kashmir' is not the voice of real Kashmiris, but is of those howling fowl forces. That was a very good post... lucid, to the point,and quite objective too. I have no answers though... I don't think anybody has an answer to the Kashmir question. What can we do? There are terrorists all around our country, even inside our country. What do we do about our corrupt politicians who put us to shame?? Sadly I think there's no solution. Easiest to say 'time will tell'! Hey, by the way, I came here to thank you for your vote for my Indiblogger post (http://www.indiblogger.in/indipost.php?post=34664) - that was really nice of you, thanks for your appreciation!! Wished Kashmir had stayed as "heaven on earth" rather than "valley of tears"!